Very soon 860 million NEURON (NRN) tokens will be generated. Liberating centralized medical data and pushing AI to its limits. Approximately $10 million has been raised in our token sale which has now closed. We are extremely grateful for all the support received! The team is now 100% focused on building the NRN network, aiming to launch it in March-April 2018. 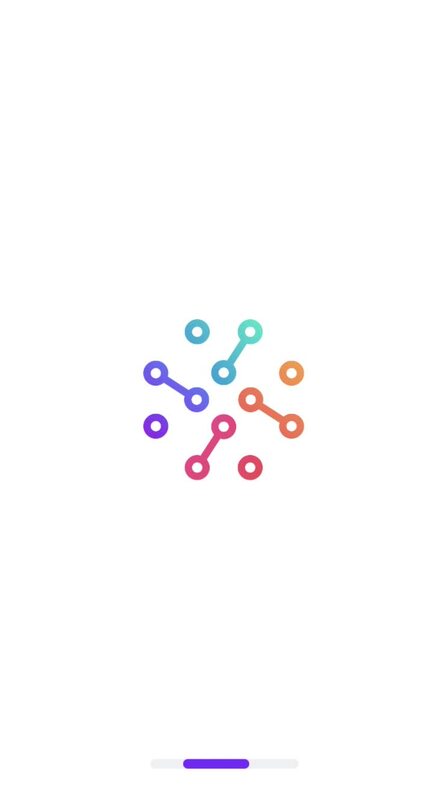 Animation of one of many use cases for Neuron and a great illustration of the $NRN tokenomics. We are entering a world where artificial intelligence, natural language understanding and the tokenized economy have the potential to bring unmatched benefits to healthcare. We have been working on converging these three in one infrastructure (NEURON) and one currency: the NRN (neuron). 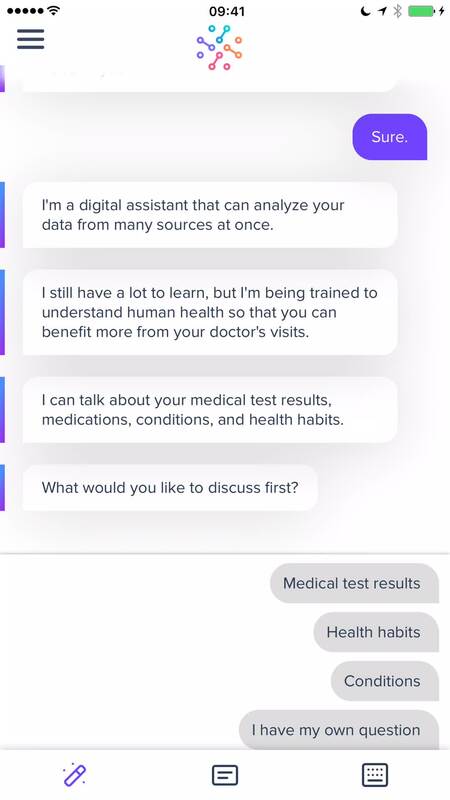 We are using our doc.ai conversational AI-powered platform for on-demand, quantified biology. 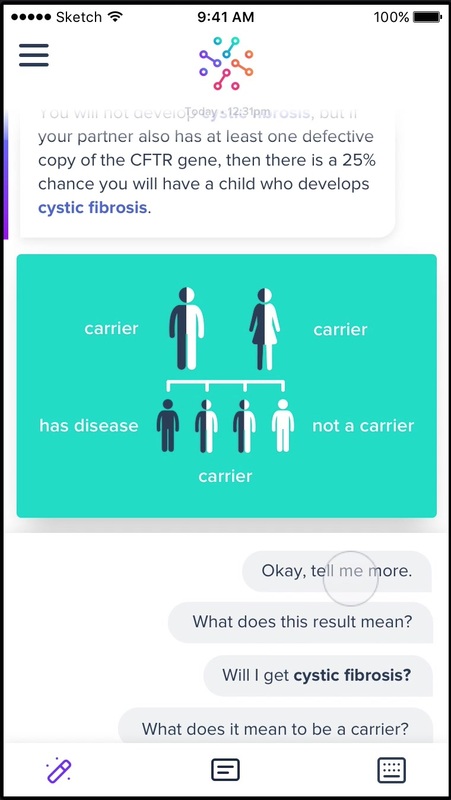 This advanced natural language dialog system was designed for vertical medical domains, and can generate and communicate insights on genomic and pharmacogenomic, exposomic and anatomical data as well as sensor-based wellness features and hematology. Our interactive on-boarding module allows the user to quickly build a health profile and receive insights based on their data. The agent utilizes predictive technology, which makes building a health profile much easier than through traditional data collection methods. Deep conversational agent designed to improve comprehension of genetic data and provide users with decision support. The agent can converse on a number of topics including diseases, traits, pharmacogenomics, and family planning. The agent supports upsells, test result comprehension, genetics education, genetic counseling preparation, and in-app appointments. Deep conversational agent designed to answer any question on 400+ blood biomarkers. The agent is trained on hundreds of thousands of medical documents and common FAQs. The agent personalizes responses based on the user's age, gender, and medical history, and can respond with rich content such as images and videos. Our content is curated by an in-house medical team. 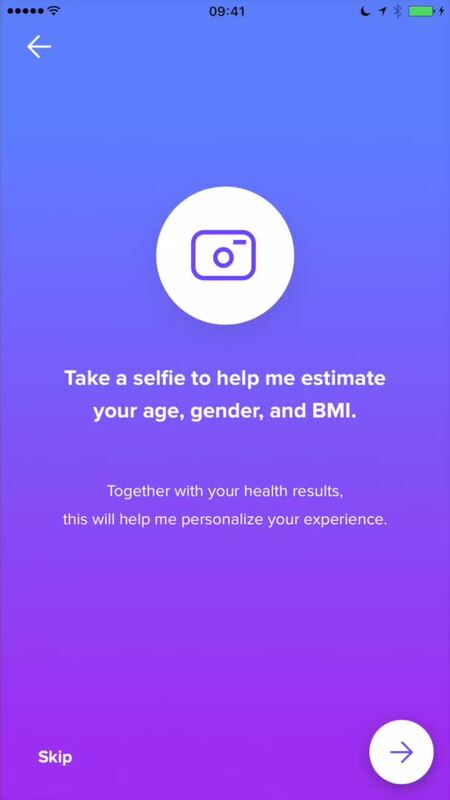 Our patent pending Selfie2BMI module uses state-of-the-art Deep Neural Network and optimization techniques to predict a variety of anatomic features including height, weight, and gender from face. The agent can quickly predict anatomic features for frictionless, smarter data collection.